There’s only one major marketing rule for doing citizen journalism. Ask for credit. Whenever you get footage or news that you’re not required to keep secret, and people want to share it- ask that they mention you. 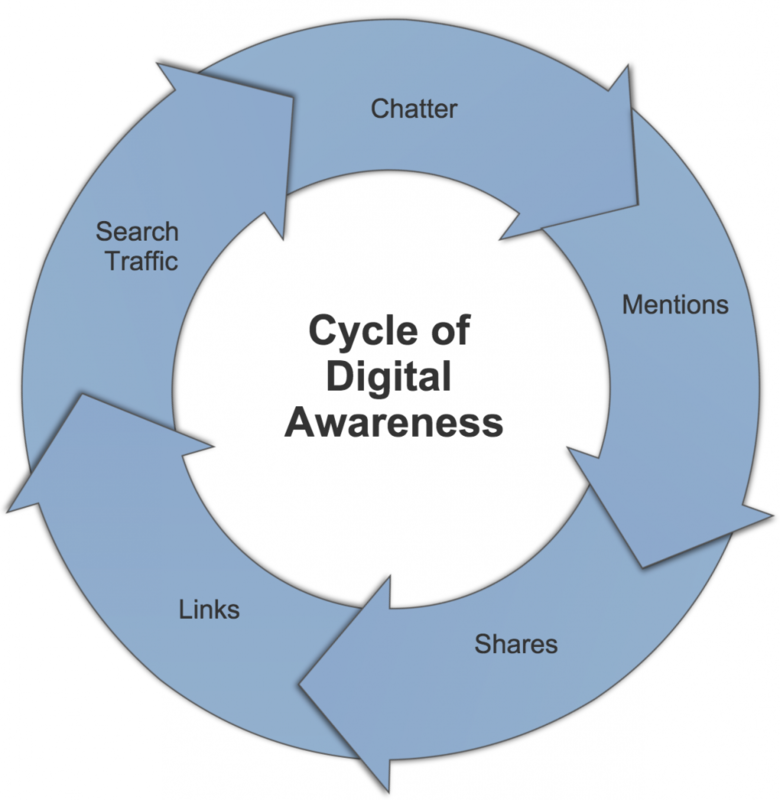 Online chatter about you drives brand awareness and affects your SEO. The Internet is a high school popularity contest and you want as many people as possible talking about you (and preferably saying good things). 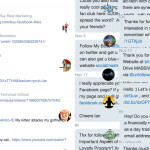 Chatter drives mentions which drives shares which drives links which drives search traffic which drives long term chatter and the cycle repeats. 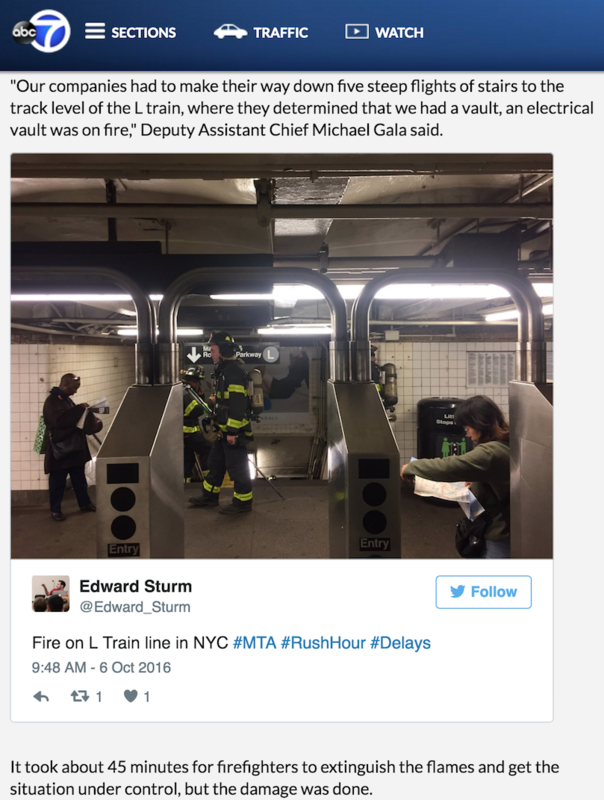 In the morning of Thursday, October 6th, 2016, one of the most popular train lines in New York City, the L train, experienced an underground fire that shut it down for over 8-hours. 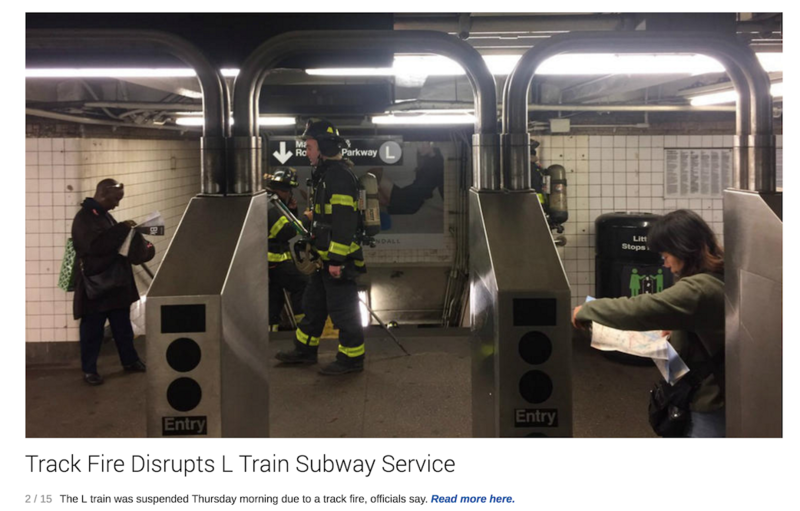 Smoke fumed through tunnels and commuters had to take different trains, busses, taxis, Lyfts, and Ubers. 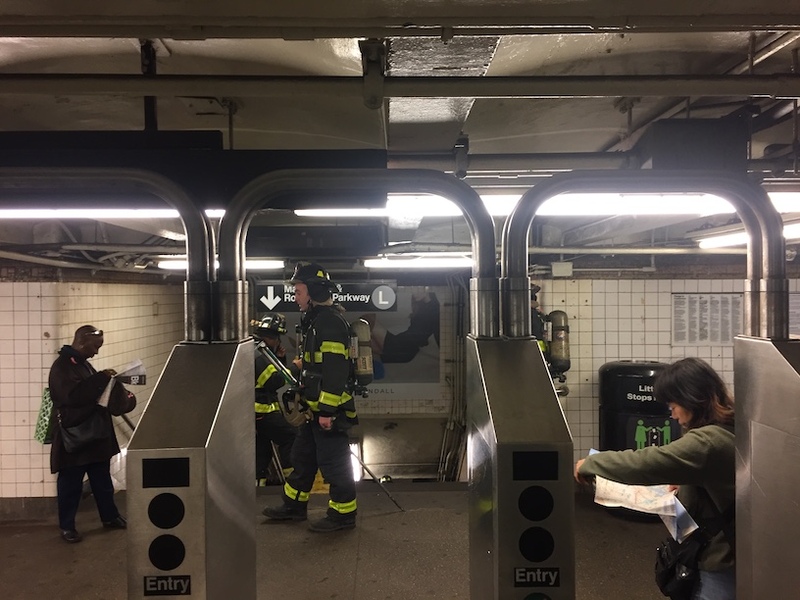 With no knowledge of the fire, I arrived to my station, Bedford Avenue, and saw a deluge of firetrucks, as well as crowds outside who were too afraid to go into the station. One man, in front of me, was not afraid and went down to see if trains were still running. I followed him. 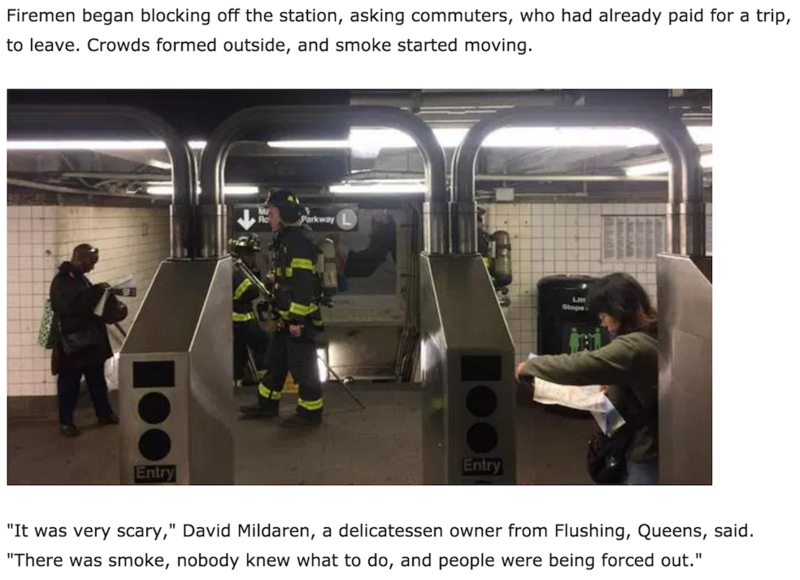 I saw some firemen standing in between frustrated commuters, swiped my MetroCard anyway, and approached a fireman. He told me what had happened and that the line was shutdown. I could tell this story was breaking, knew that it would affect thousands, and knew that news agencies would be covering it. I stepped back, and took a purposefully dramatic photo, with firemen juxtaposed in front of the emblem for the L Train. I then Tweeted it to the world with some relevant hashtags. 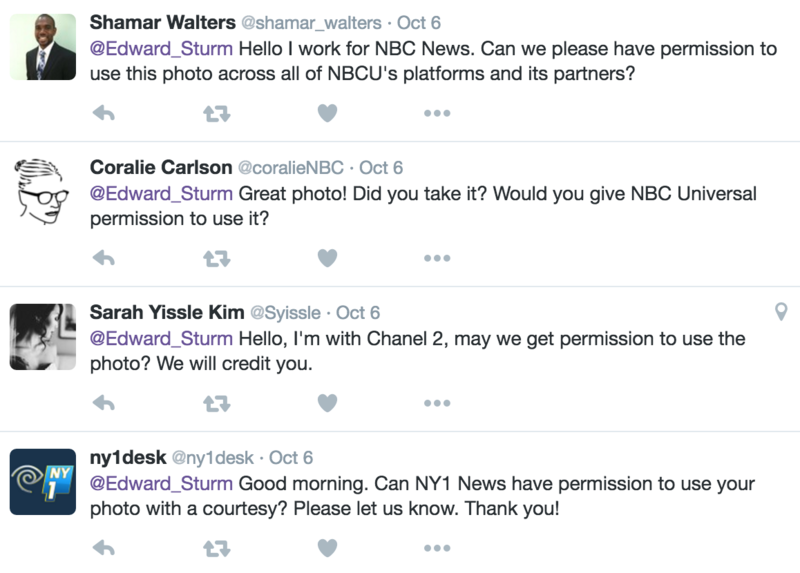 Reporters from some of the top local NYC news stations asking if they could use my photo. NBC, CBS (Channel 2), NY1. There were others as well. Excitedly, I told them all some form of “Yes!” without asking that they give me credit. My image was used without giving me credit. 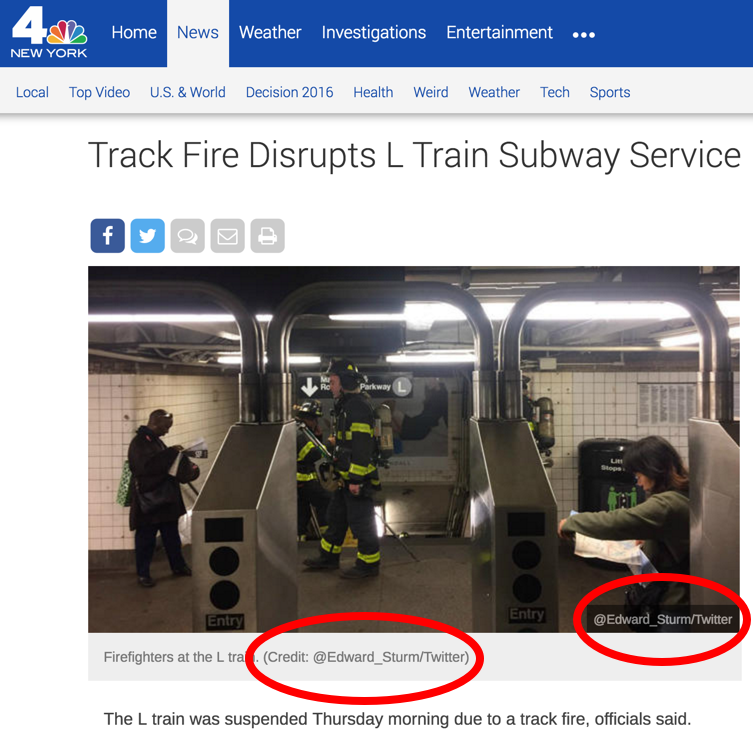 Either journalists wanted to take credit themselves by not including my name, thought crediting me would distract readers, or were just plain lazy. It didn’t happen often, but it did happen… and it most likely would not have happened had I asked. @theresaKNews12 Yes you can! Please give credit if possible. 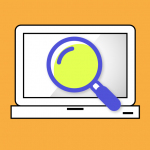 Remember, more brand mentions = more search engine optimization power, even if you’re not getting links. Just having your name appear can be good in a lot of circumstances. 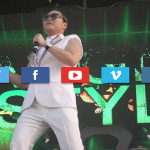 It helps make up a more organic and fleshed out online presence, which increases a search algorithm’s trust in you. In my case, my name is my brand. 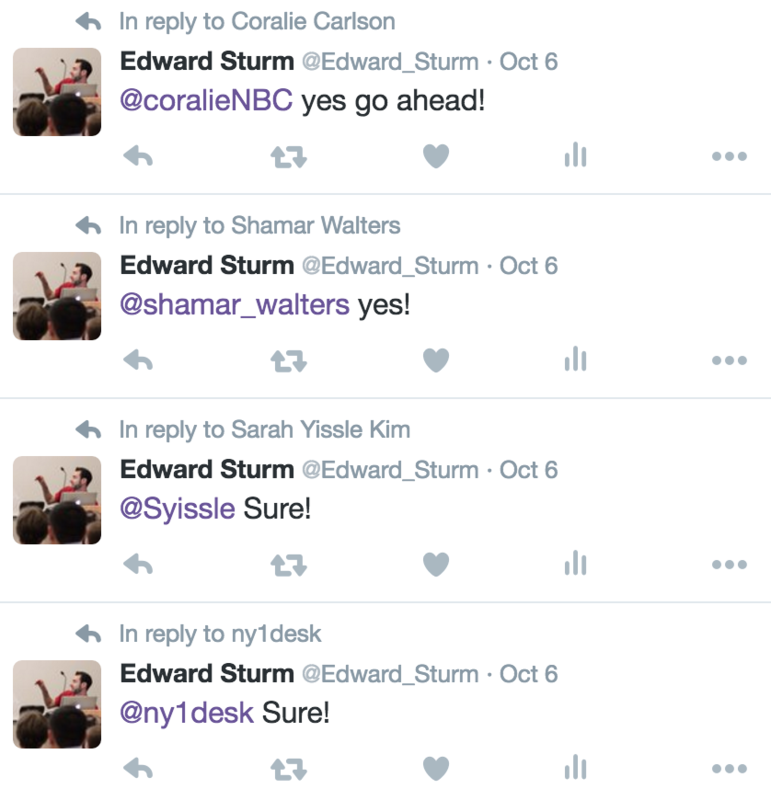 Edward Sturm is my brand, and I want Edward Sturm to appear all over the place. I also know, from past viral experiences, that one right pair of eyeballs can make or break a new opportunity. One right pair of eyeballs can lead to intrigue that gets you that new client, a new interview, or any other new and exciting opportunity. Despite me failing to ask for credit late into the publicity, there were some things that I did well instinctively. I continued the coverage so that journalists and other concerned commuters following the L line shutdown would get their fill of content. 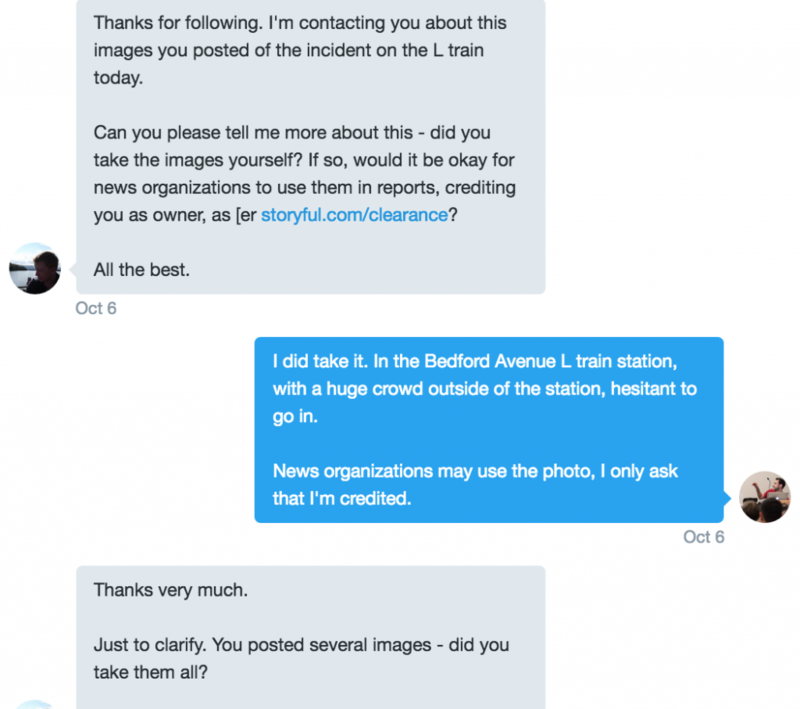 As the title of this article describes, I, a random citizen, became a journalist for an hour. I was rewarded for this and journalists began asking for permission to use all the photos. While not as popular as the first photo, the stats for the extra photos were above average in relation to my normal impressions and engagement. What does this mean? These stats demonstrate an increased amount of chatter with my name in it, increased eyeballs, and thereby increased opportunities – all for very little effort. The point of this article isn’t to say that citizen journalism is the next big thing in promotion, SEO, and digital marketing. The point is that when you have an opportunity to be a citizen journalist, you should (in most cases) make the extra effort and then optimize that effort so that you see some sort of return on it. A high amount of increased brand mentions can be that return, an extra opportunity can be that return, or (even if you fail to obey the one marketing rule in this article) a new journalist contact can be that return. Good luck with all your citizen journalism efforts! May you stumble onto some exciting scenes!